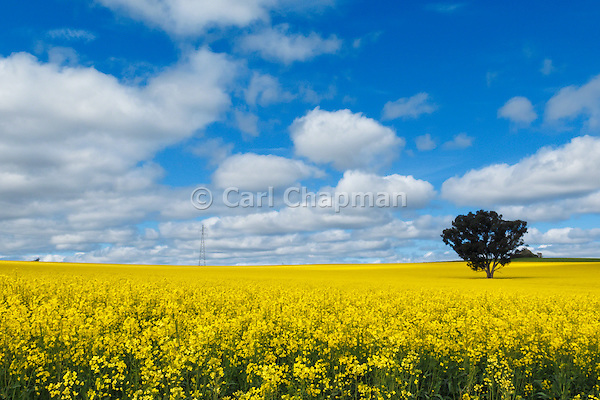 It’s spring in Australia, and the canola crops are flowering in rural News South Wales and Victoria, producing the vibrant colours I enjoy. The harvesters are getting their equipment ready, and the farmers are fretting over frosts damaging the plants. I recently drove from Queensland down to Victoria (approximately 1900 km’s each way) to visit family on a rural property in country Australia, and along the way came across numerous scenes of the canola crops flowering. Driving between Yass and Cowra in New South Wales, I came across the field above. There had been some recent strong storms along the coast producing the cloud pattern, and the sun broke through in different locations around the paddock as the clouds moved by.